A journey without knowing the destination can be adventurous but need not be pleasant. 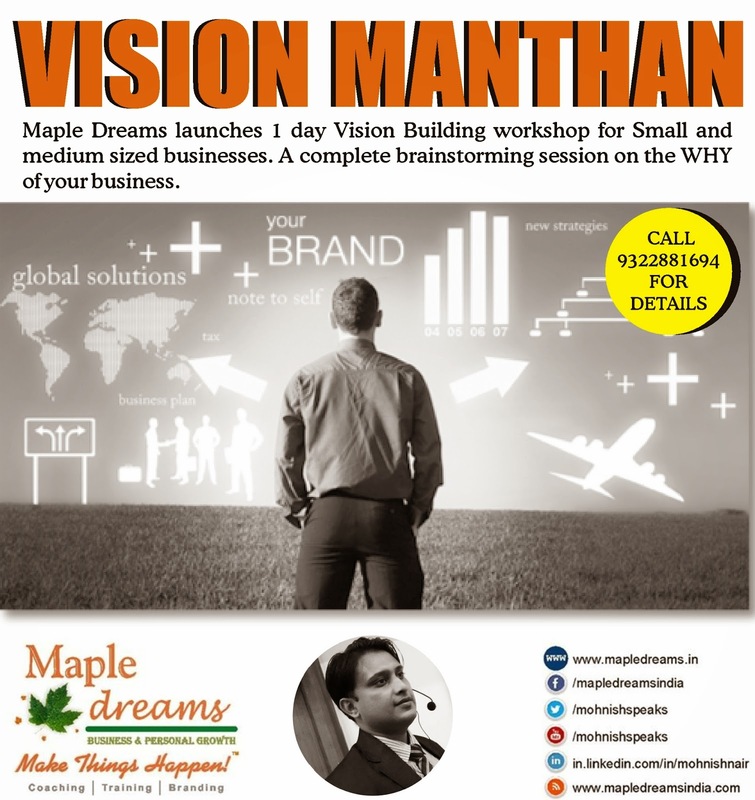 Maple Dreams launches one day Vision Building workshop for Small and medium sized businesses. 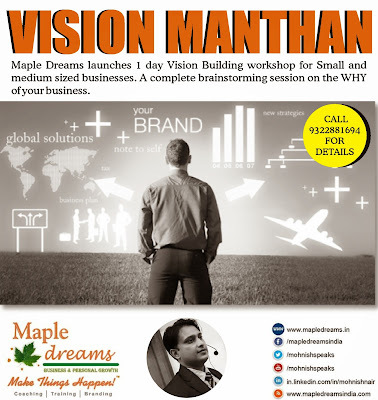 A complete brainstorming session on the WHY of your business. Being persistent has never hurt anybody. 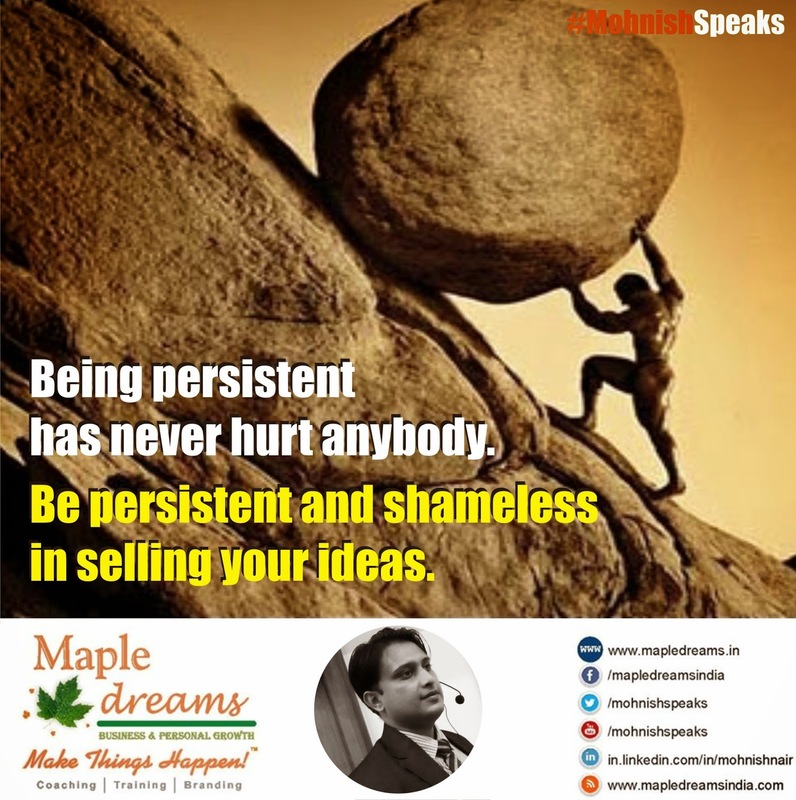 Be persistent and shameless in selling your ideas.